Machine learning is a fascinating study. If you are a beginner or simply curious about machine learning, this article covers the basics for you. 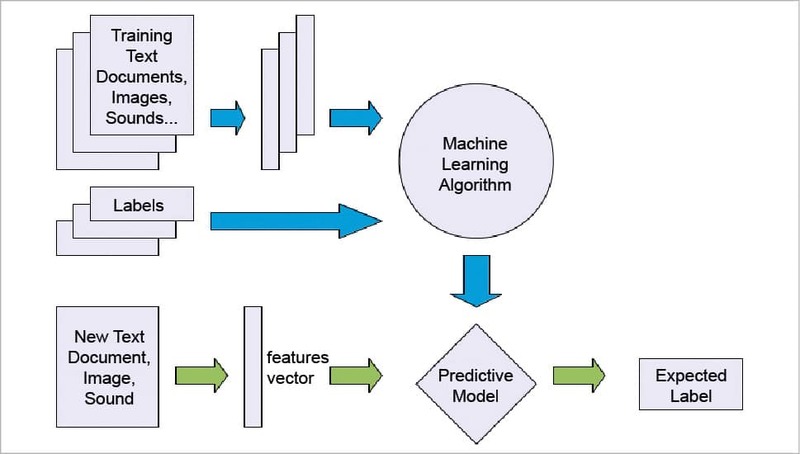 Machine learning is a set of methods by which computers make decisions autonomously. Using certain techniques, computers make decisions by considering or detecting patterns in past records and then predicting future occurrences. Different types of predictions are possible, such as about weather conditions and house prices. Apart from predictions, machines have learnt how to recognise faces in photographs, and even filter out email spam. Google, Yahoo, etc, use machine learning to detect spam emails. Machine learning is widely implemented across all types of industries. If programming is used to achieve automation, then we can say that machine learning is used to automate the process of automation. We can say machine learning enables computers to learn to perform tasks even though they have not been explicitly programmed to do so. Machine learning systems crawl through the data to find the patterns and when found, adjust the program’s actions accordingly. 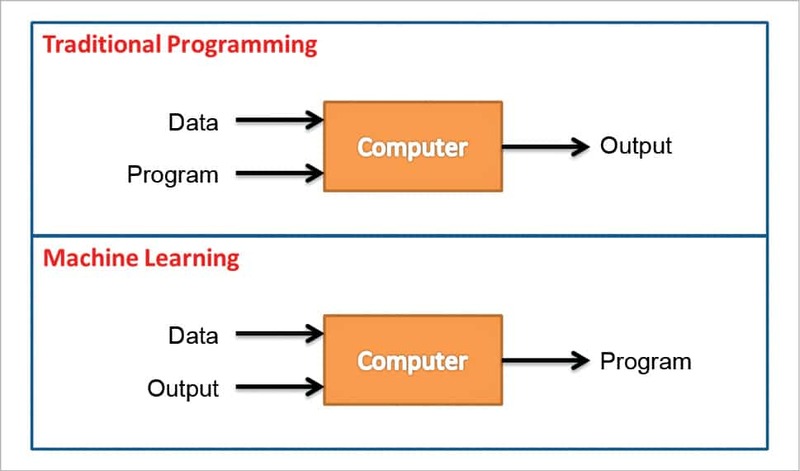 With the help of pattern recognition and computational learning theory, one can study and develop algorithms (which can be built by learning from the sets of available data), on the basis of which the computer takes decisions. These algorithms are driven by building a model from sample records. These models are used in developing decision trees, through which the system takes all the decisions. Machine learning programs are also structured in such a way that when exposed to new data, they learn and improve over time. 1 Data input: Text files, spreadsheets or SQL databases are fed as input to machines. This is called the training data for a machine. 2 Data abstraction: Data is structured using algorithms to represent it in simpler and more logical formats. Elementary learning is performed in this phase. 3. Generalisation: An abstract of the data is used as input to develop the insights. Practical application happens at this stage. How well the generalisation of abstraction data happens. The accuracy of machines when translating their learning into practical usage for predicting the future set of actions. Now let’s look at how we utilise the machine in real life. Before letting a machine perform any unsupervised task, the five steps listed below need to be followed. 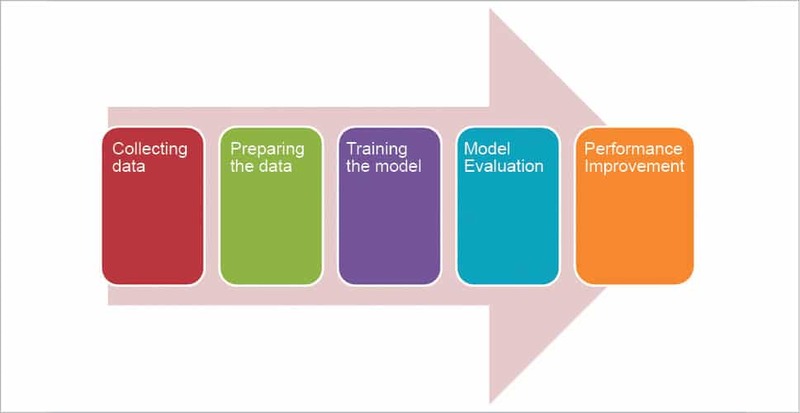 Training the model: The appropriate algorithm is selected in this step and the data is represented in the form of a model. The cleaned data is divided into training data and testing data. 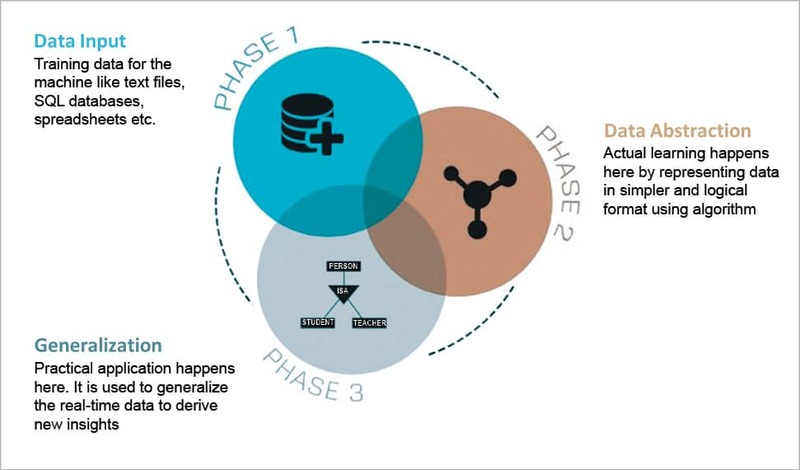 The training data is used to develop the data model, while the testing data is used as reference to ensure that the model has been trained well to produce accurate results. Supervised learning: Supervised learning is the most commonly used. In this type of learning, algorithms produce a function which predicts the future outcome based on the input given (historical data). The name itself suggests that it generates output in a supervised fashion. So these predictive models are given instructions on what needs to be learnt and how it is to be learnt. Until the model achieves some acceptable level of efficiency or accuracy, it iterates over the training data. 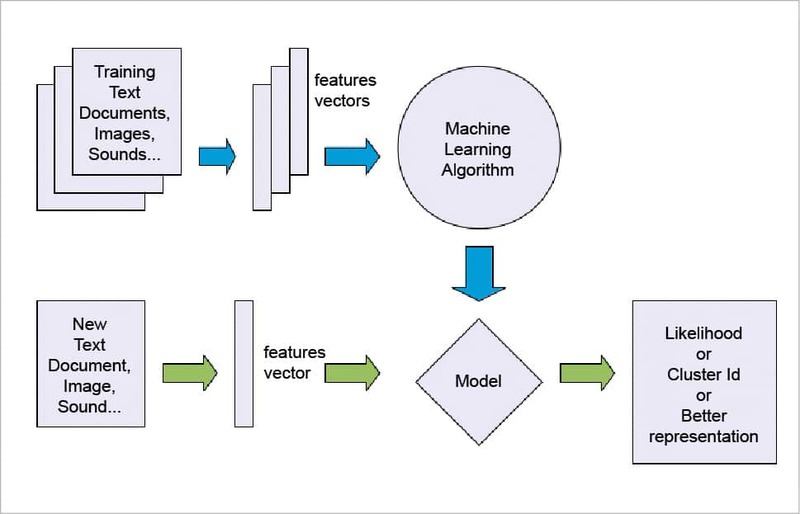 Unsupervised learning: The objective of unsupervised learning algorithms is to represent the hidden structure of the data set in order to learn more about the data. Here, we only have input data with no corresponding output variables. Unsupervised learning algorithms develop the descriptive models, which approach the problems irrespective of the knowledge of the results. So it is left to the system to find out the pattern in the available inputs, in order to discover and predict the output. From many possible hypotheses, the optimal one is used to find the output. Reinforcement learning: In this learning method, ideas and experiences supplement each other and are also linked with each other. Here, the machine trains itself based on the experiences it has had and applies that knowledge to solving problems. This saves a lot of time, as very little human interaction is required in this type of learning. It is also called the trial-error or association analysis technique, whereby the machine learns from its past experiences and applies its best knowledge to make decisions. For example, a doctor with many years of experience links a patient’s symptoms to the illness based on that experience. So whenever a new patient comes, he uses his experience to diagnose the illness of the patient. Machine learning has ample applications in practically every domain. 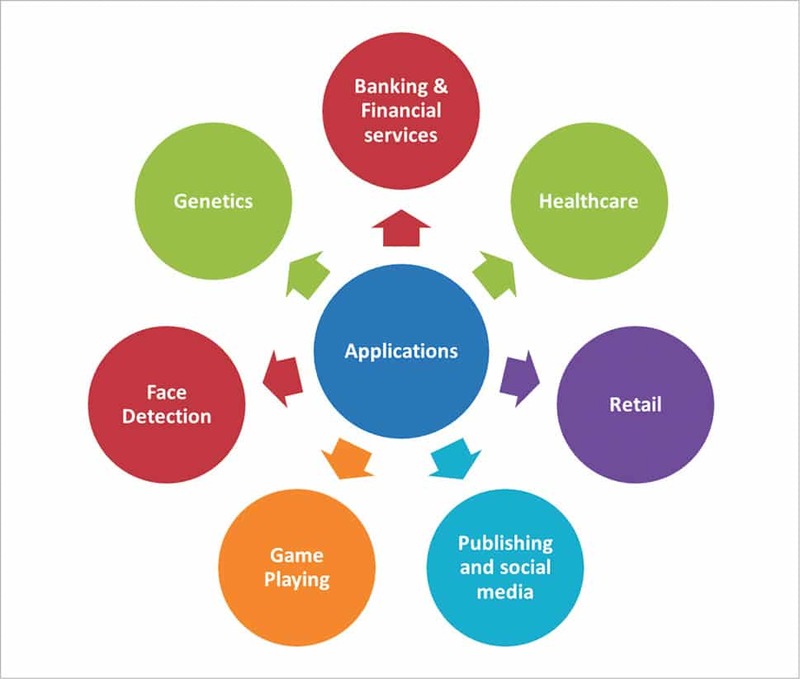 Some major domains in which it plays a vital role are shown in Figure 7. Retail: Machine learning helps to spot the products that sell. It can differentiate between the fast selling products and the rest. That analysis helps retailers to increase or decrease the stocks of their products. It can also be used to recognise which product combinations can work wonders. Amazon, Flipkart and Walmart all use machine learning to generate more business. H2O: This is an open source machine learning as well as deep learning framework. It is developed using Java, Python and R, and it is used to control training due to its powerful graphic interface. H2O’s algorithms are mainly used for business processes like fraud or trend predictions. Machine learning techniques are such that it is difficult to optimise non-differentiable, discontinuous loss functions. Discontinuous loss functions are important in cases such as sparse representations. Non-differentiable loss functions are approximated by smooth loss functions without much loss in sparsity. Collection of such large amounts of data can sometimes be an unmanageable and unwieldy task.